I didn’t realize that Andy is a cancer survivor, until Eric shard that. It doesn’t usually just come up in conversations with people over dinner, unless you’re having a down and dirty one-on-one discussion. I have a few friends who either are, or their loved ones are. We can all relate, I believe. We’ve all been touched by this dreaded diagnosis. And, for those who’ve beaten cancer, the love of life is well earned. Getting to know Andy Perdue is recent for me, in this past year. He’s a tremendous resource for the Northwest, completely devoted to sharing his extensive knowledge about wine; running as deep as the Pacific. His demeanor is calm and he’s just very likeable, from the onset. Andy Perdue graduated with a degree in journalism and a minor in history from Western Washington University in Bellingham. He worked for many newspapers, and for 15 years, he was editor-in-chief of Wine Press Northwest. As editor of the quarterly consumer magazine, he wrote columns, cover features, tasting notes and analyses of peer-group judgings. 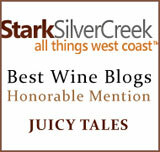 As a wine writer, Andy also has been a columnist for Seattle Homes & Lifestyles and Vineyard & Winery Management. He also has contributed articles to numerous other publications. In 2003, Andy’s first book, “The Northwest Wine Guide: A Buyer’s Handbook,” was published by Sasquatch Books. 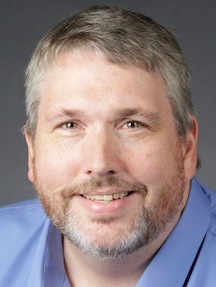 He’s also contributed to several other books, including “Swirl, Sip & Savor” (2010), “North American Wine Routes” (2010), “Best Places to Kiss in the Northwest” (2008) and “Best Places Northwest” (2001). When I decided to profile both Eric and Andy, I knew that it had to be both… not just one of them… because they’re like salt and pepper, yin and yang… They complement each other, still both are very strong in their own right. Andy Perdue is the publisher of Great Northwest Wine. I am now a full-time wine journalist and small business owner. I am a third-generation newspaperman who has been in the game since 1985. I now have a regular gig writing for Wine Business Monthly, and I’m also the wine columnist for The Seattle Times. 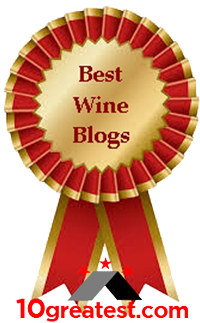 In addition, Eric Degerman and I write a weekly wine column that is syndicated in 20 newspapers. 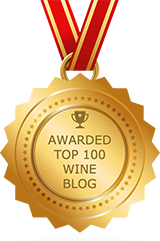 I began writing about wine in 1997. I was the food editor at the Tri-City Herald in Washington state in the early 1990s. As part of that role, I edited the wine column written by Bob Woehler. Through that, I learned about and became interested in wine. I began writing about wine after a trip to the Middle East with my wife, and I wrote about an experience I can only describe as “extreme wine tasting.” It involved visiting a winery in occupied Syria and hearing Israel’s Golani Brigade practice its mortar fire all night not far from the vineyard. Eric Degerman and I came up with the idea of launching a wine magazine in 1997, and we got the Tri-City Herald to pay for it. That was part of our job at the newspaper for the next 15 years. I love talking to people in the wine industry, finding out an interesting angle about their lives, then sharing that with wine lovers. I enjoy finding small, out-of-the-way wineries. I love walking vineyards and getting dust on my shoes. I love working with Eric Degerman, who has been a good friend for more than 20 years. We have contrasting and complementary styles that help us be more successful. 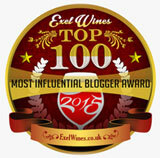 The biggest change has been this year, as we have moved from being magazine editors to independent wine journalists. We write for many publications and produce stories for our own readers. Going from a steady paycheck to something more chaotic has been exciting and fun – mostly because we chose this path for ourselves. If I may, I choose two, and both are Ports. The first was a 1963 Cockburn that was shared with me by my good friend Coke Roth of Kennewick, Wash. I recall going to find a quiet corner so I could simply smell this spectacular wine for 20 minutes or so. The second was an 1896 Tawny Port from Real Companhia Velha that was shared with me by my friend Tom Reagan of Atlanta. To think this winery had already been in business for 140 years before it made this wine is astonishing. I can still taste this wine even though it’s been several years since he shared it. I have a particular fondness for Riesling, and I love nothing more than to be pushed around by Petite Sirah. When I need a bit of civility in my life, though, I turn to Pinot Noir. And British Columbia icewines can cause my knees to buckle. Most definitely. As viticultural practices improve, otherwise marginal areas are able to produce wines of higher quality, and this typically results in delicious wines at value prices. Washington’s Wahluke Slope is a great example of a region that consistently produces luscious reds for $15. I love how Oregon winemakers look for every possible angle to gain a day or two of ripeness in their Pinot Noirs. The Willamette Valley is on the edge of viticultural viability, and the heroic winemakers there look for every opportunity through early cluster thinning, clonal selection, leaf stripping, new trellising systems and low tonnage. I’m not sure this is an innovation, but it is so fun to watch the creativity that goes into Oregon Pinot Noir long before the grapes ever arrive at the winery. I’m quite fascinated with the history, culture and politics of the Middle East. I enjoy growing eight or nine different varieties of basil. I read a lot of books on varying subjects. Right now, it’s a history of the Dust Bowl (“The Worst Hard Times”) by Timothy Egan. Because of my home-based business, I am able to spend a spectacular amount of time with my wife and our daughter. In the wine business, my mentor has been Dan Berger [of Vintage Experiences]. We have been friends for a long time, and he has guided me on many occasions, not the least of which was my decision to leave the newspaper industry and become an independent wine journalist. Other journalists who have inspired me along the way include Mike Dunne of the Sacramento Bee; the late Bob Woehler, who got me started down this path; and, of course, Eric Degerman, with whom I am embarking on this new business venture. This might sound like a cliché, but my father was a great inspiration for his work as a journalist and as a role model. My mother, who has a serious zest for life, inspires me to not worry about taking leaps of faith. In day-to-day life, my wife and daughter are my inspirations. My wife, Melissa, and I adopted our daughter from India in 2007. A year later, I was diagnosed with stage-4 lymphoma at age 44. I’d just become her big daddy, and I was determined to not abandon her quite so quickly. That helped me endure some fairly radical chemotherapy treatments that have left me cancer-free since 2009. I hope people in the wine industry remember me as someone who treated them fairly. I hope readers remember me as a teller of others’ stories. In a business filled with good guys, Andy is one of the really good guys. And he has lousy enough taste to find my blog funny, which earns him extra credit. Though our paths don’t cross very often, I always enjoy time spent in Andy’s company. Oh, did I mention he also knows a lot about wine? He knows a lot about wine. Ron, you make me blush. Ginko Forest being my favorite for the price. Worth the trip. Thanks for a great article now its back to the crush for this tired puppy. Thanks for weighing in, Steve, during such a busy time. I’m sure Andy appreciates your comments.